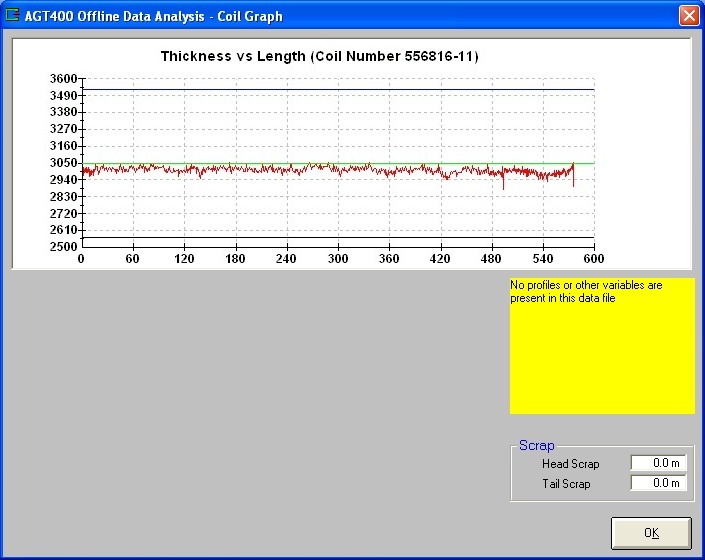 Offline Data Analysis was developed to allow customers more access to coil reports created by the Thickness Gauge & S.P.C. Reporting System. 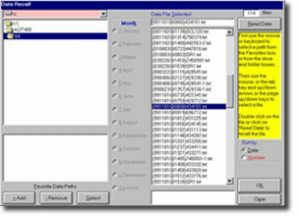 The program enables customers to recall reports from one or more gauges simultaneously via a company network or USB stick. 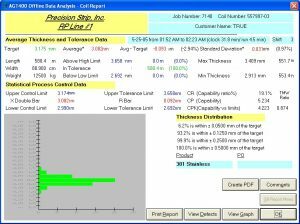 Coil reports can be accessed without interrupting the gauge measurement or the line operation, and each report can be studied in great detail without printing a single page. 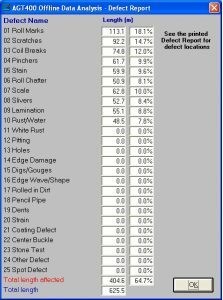 In addition, .pdf formatted coil reports can be generated by Offline Data Analysis in order to allow your coil data to be emailed to your customers! The Offline Data Analysis packet includes a software CD, customized thickness gauge parameter file, security dongle and installation instructions. 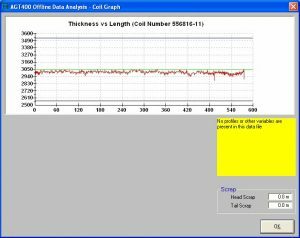 The coil report provides you with all the coil information, limits, calculated SPC data and a histogram of the standard deviation. 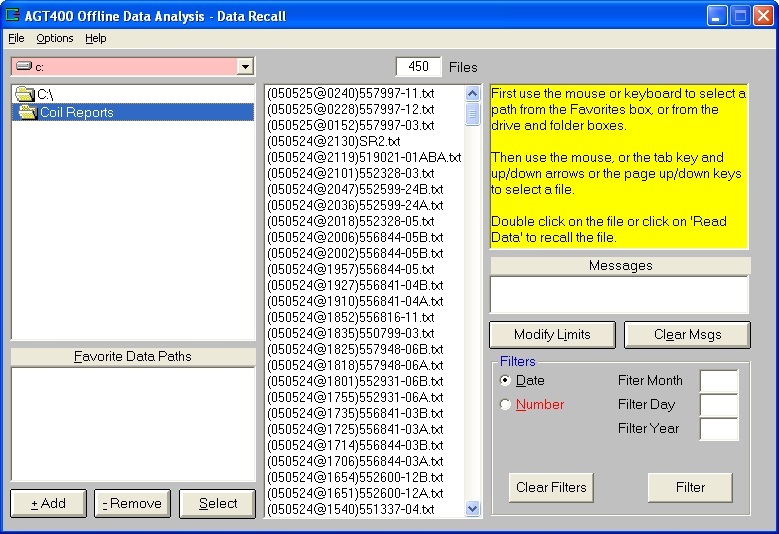 The report and be printed directly or saved as a pdf file to email to the customer. 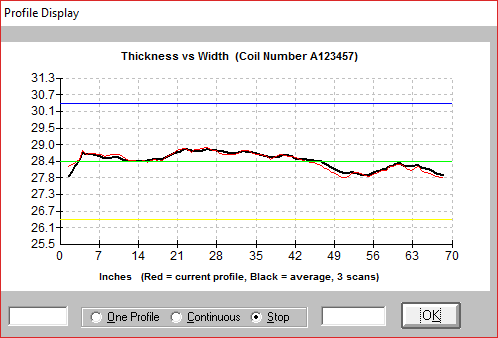 The coil thickness graph shows the coil thickness over the length of the coil. It is included in the pdf file. 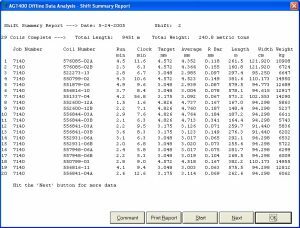 The Shift Summary Report gives a detailed report of all coils ran during a shift. 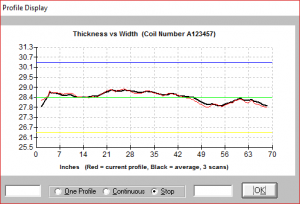 It provides a great tool to measure efficiencies and even compare coils if they are of like specification. 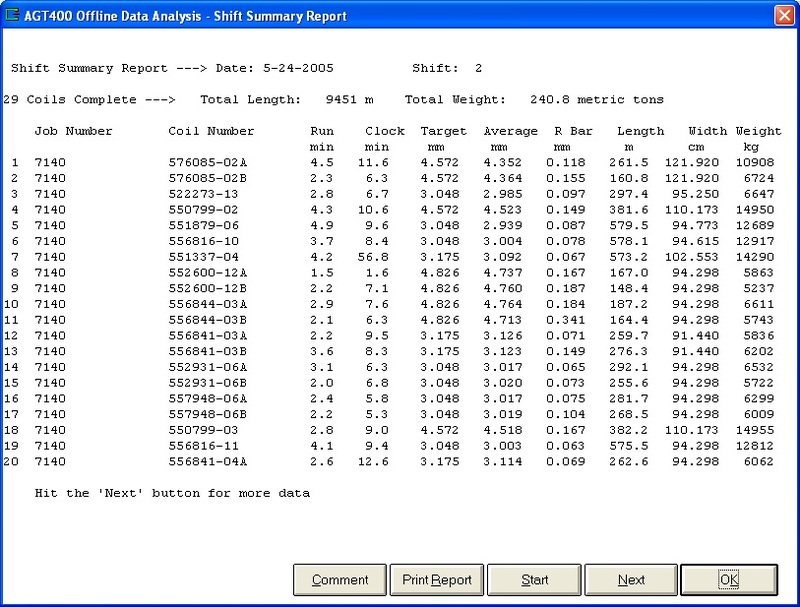 The defect summary report shows the defect entered and the amount of the coil effected from entries using the Coil Defect Tracking option or entered on the gauge screen. 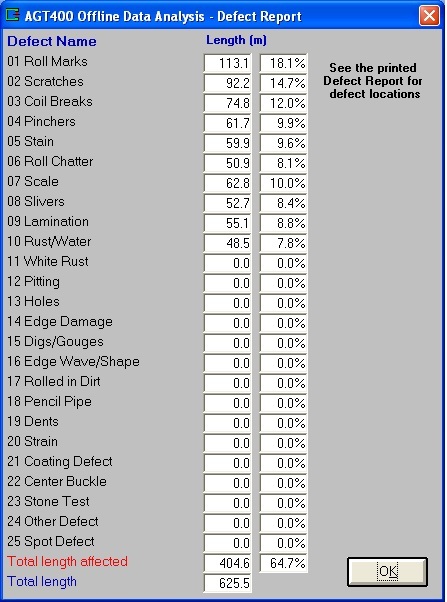 Details of the defects can be seen in the printed detail report.